The increasing regularity with which brewers are faced with hop shortages is well documented as demand for both craft beer and hoppier styles increases globally. At the same time that producers of the most popular New World varieties – Citra, Simcoe, Galaxy, Nelson Sauvin and the like – are working overtime to grow more, they and others are looking to develop new varieties that will give brewers alternatives as well as, potentially, new aromas and flavours to play with. One of the newest varieties to come out of the States is Idaho 7, the latest in a series of Idaho hops and one that is garnering a fair bit of hype Stateside. A small amount has made its way to Australia: just three local brewers have been allocated some of this shipment, with Cavalier of the belief that they are the first to use it in a beer here commercially. Said beer is the Idaho IPA and will take its bow at Good Beer Week 2016 in Melbourne. We were lucky enough to get a sneak peek of the 6.6 percent ABV drop (it helps when one of the brewery owners lives around the corner from Crafty Towers...) and you can see why Idaho 7 is finding favour with brewers like Dogfish Head and Sierra Nevada. Rounded aromas of pineapple and mandarin rise from its rather enticing copper body, while those tropical and orange citrus characteristics are delivered in a big way on the palate too, all without too much in the way of biting bitterness. 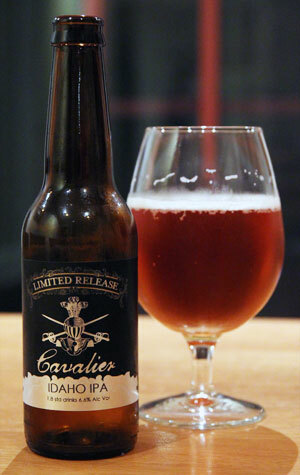 It's one of the new beers pouring at Cavalier's Open Day on May 14, alongside a Spiced Irish Red IPA and others, then is officially launched at Prosciutto Bros a few days later.